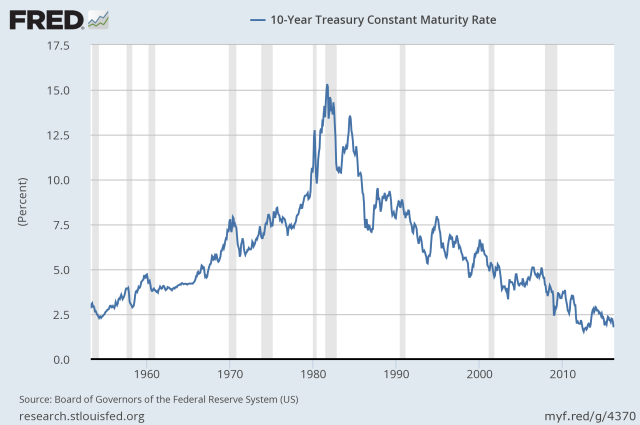 Gail Tverberg give's an excellent perspective of things to come as the underlying problems are sufficiently severe that we seem to be headed for a crisis far worse than 2008. 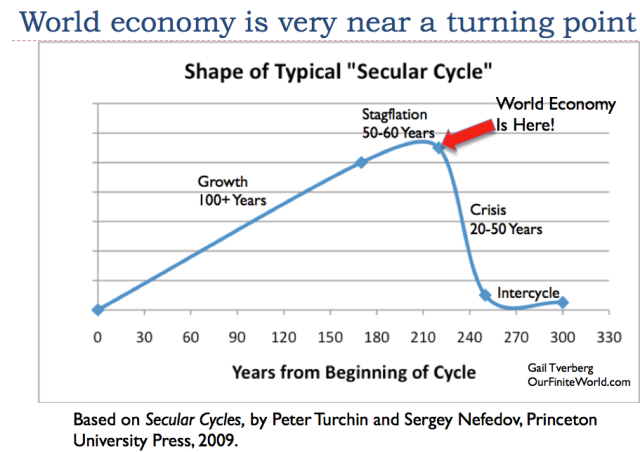 Thus, we cannot expect that the past pattern of GDP growing a little faster than energy consumption will continue. 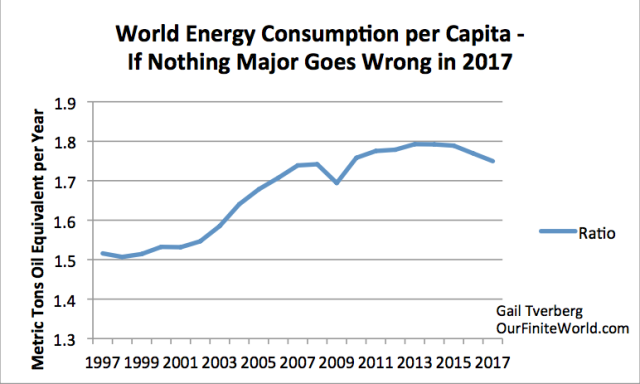 In fact, it is even possible that the leveraging effect will start working the “wrong” way, as low fossil fuel prices induce more fuel use, not less. 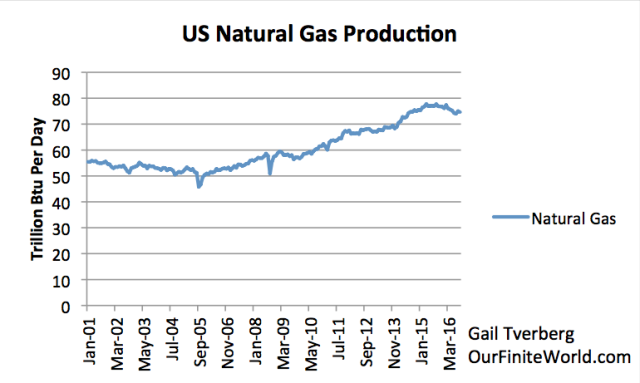 Perhaps the safest assumption we can make is that GDP growth and energy consumption growth will be equal. 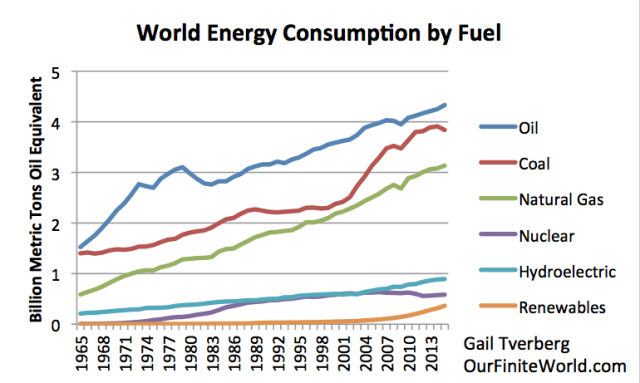 In other words, if world energy consumption is 0% (as in Figure 4), world GDP growth will also be 0%. This is not something that world leaders would like at all. Because countries are in this precarious position of falling resources per capita, we should expect to see a rise in protectionism, and the addition of new tariffs. 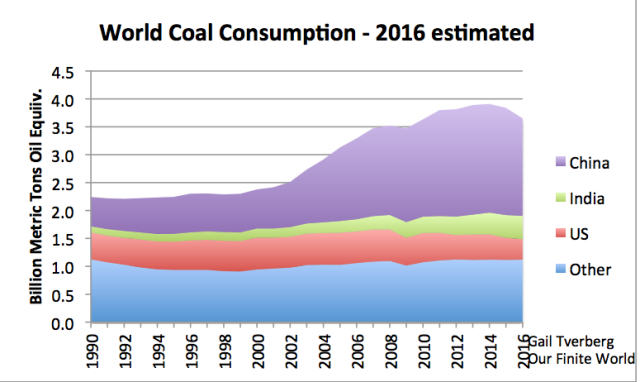 With these growing headwinds, it is quite possible that China’s total energy consumption in 2017 will shrink. 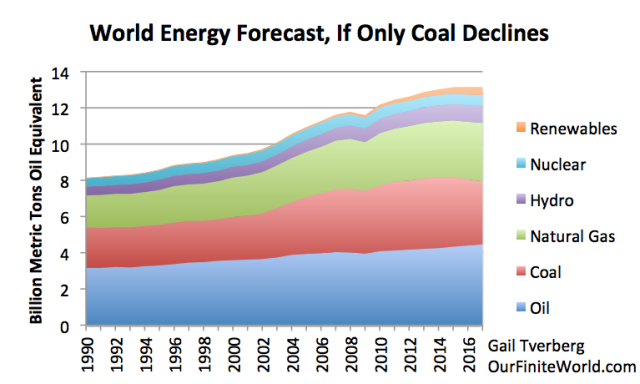 If this happens, there will downward pressure on world fossil fuel prices. 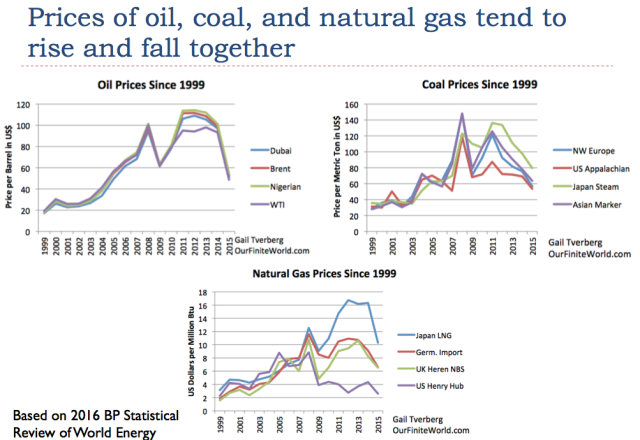 Oil prices may fall, despite production cuts by OPEC and other countries. The laws of physics seem to be behind economic growth. From a physics point of view, oureconomy is a dissipative structure. Such structures form in “open systems.” In such systems, flows of energy allow structures to temporarily self-organize and grow. Other examples of dissipative structures include ecosystems, all plants and animals, stars, and hurricanes. All of these structures constantly “dissipate” energy. They have finite life spans, before they eventually collapse. Often, new dissipative systems form, to replace previous ones that have collapsed.